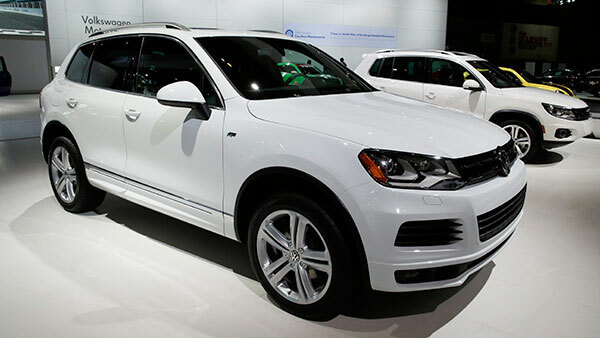 DETROIT -- Volkswagen is recalling nearly 74,000 SUVs in the U.S. because a fuel pump flange can develop cracks and leak gasoline. The recall covers Touareg SUVs with gasoline engines from 2004 to 2007. It's part of a larger recall announced in July by the National Highway Traffic Safety Administration involving flanges made by parts supplier Continental that could affect millions of vehicles. The agency is investigating which vehicles are affected. VW says the safety agency found consumer complaints about the problem. Aging oxidation can weaken the flanges and cause small cracks. Those can leak fuel and cause fires, although documents don't mention any. Dealers will inspect the flanges and replace them if necessary. Those without cracks will get a protective cover. Owners will be notified starting Nov. 19.